You don't really want to try to tough out this tough winter without a beach escape. And luckily, it's not too late to book a break from winter weather.After the destruction of recent hurricanes, communities have pulled together, and many beach destinations are ready to welcome travelers again. Booking a cruise or a land trip and supporting the local economy is one of the best ways you can help affected destinations that rely on tourism to continue to recover. And even if your favorite winter beach isn't quite ready for visitors again, that's a great motivation to discover a new beach this year. Here are some of our favorite under-the-radar beaches to try in your quest for sun and sand this winter. 2. Trunk Bay, St. John, US Virgin IslandsThis white sand beach has been a showpiece of the US National Park Service since it was donated by a Rockefeller family member to the Virgin Islands National Park. A one-of-a-kind, 650-foot underwater snorkeling trail provides terrific viewing of colorful fish and corals, including the rare, indigo-blue tunicates – in less than 20′ of water, perfect for every member of the family. 3. Eagle Beach, ArubaAruba is as far south as you can go in the Caribbean before you hit South America, and its uniquely dry, sunny, almost dessert-like environment, so different from elsewhere in the Caribbean, is worth a few more minutes in the air. 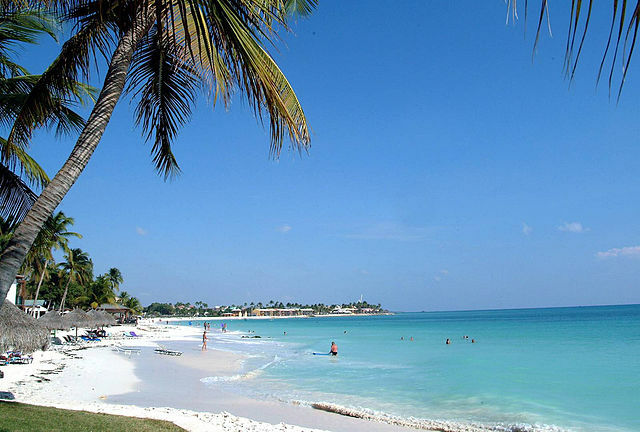 Wide and white, Eagle Beach (above photo credit) is home to two of the most photographed and renowned divi divi trees in Aruba (pictured top, credit) with their trademark silhouette shaped by the constant, refreshing trade winds. Low rise resorts line the beach, which is also a famous turtle nesting and hatching site. 4. Mosquito Bioluminscent Bay, Puerto RicoThis might be the only beach in the Caribbean best seen at night! Tiny micro-organisms, up to 160,000 of them in every liter of water - give off a supernatural, blue-white glow year round. It's the most luminous bioluminescent display in the world - and makes this the beach experience on Puerto Rico's Vieques island unforgettable! Hurricane Maria wreaked havoc on the island, interrupting the bioluminescent bay's ecosystem. For weeks after the hurricanes, the bay was dark. But happily, the water is starting to glow again as the water chemistry recovers. Don't miss the opportunity for the nighttime kayak of a lifetime. 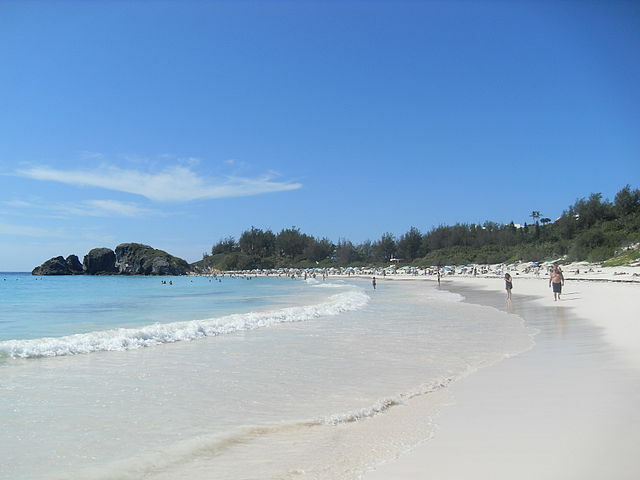 Don't miss an island escape from the winter weather. 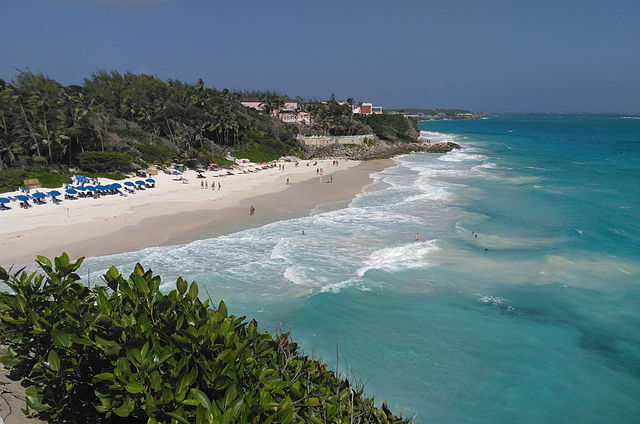 Discover a new favorite beach in the Caribbean. Start your Trip!Copyright BestTrip.TV/Influence Entertainment Group Inc or Rights Holder. All rights reserved. You are welcome to share this material from this page, but it may not be published, broadcast, rewritten or redistributed.